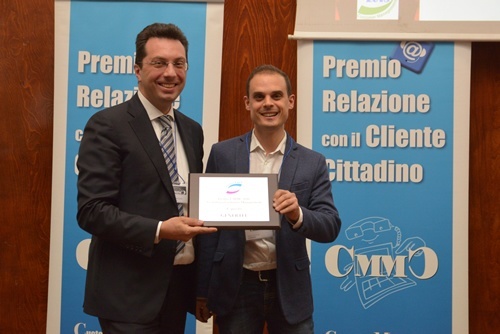 CMMC Awards is a unique initiative that takes place in Italy; the CMMC intend to promote the benchmarking of performance and experiences among Companies with a common mission: improving the relationship with their Customers through multimedia contact center. Since 2002 CMMC has been part of ECCCO – European Confederation Contact Centre Organisations. All participants have the opportunity to present in brief their project, emphasizing successful cases related to different categories of the Awards. This year 7 categories. Each of these categories focuses on the aspects that characterize the sector’s activities, management decisions and the latest technological innovations. Different Companies participated in the contest, presenting their solution and some of them have been awarded thanks to the integration with Vivocha’s platform. To recognize the excellence of technological solutions used in the sector, which contribute to improve the customer experience in a reality of omnichannel contact, the jury assigned the first prize to Genertel, for the solution integrated by Vivocha. Based on dynamic tags and a tailored pre-routing system via APIs, widgets allow customers and/or prospects to easily reach the most skilled agent to answer their needs and questions. The widgets, implemented on all the website areas, are fully responsive and ensure a consistent customer experience no matter the device used. Vivocha also provided a scheduling capability, which allows customers to schedule a chat session with a dedicated agent. To recognize the best CEM programs activated with the business functions affected by the customer journey contact points, with design thinking and data integration on the customer experience. In this category, ING received a special mention thanks to the Digital Remote Expert project, that transforms a text chat into a multimedia collaborative session with one of the bank's financial advisors. This service has been adopted through the Vivocha platform which, based on Web-RTC technology, gives the possibility to start a videochat session, without the need to download any plug-ins. Another special mention in the same category awards has been assigned to Infinity: the multimedia contact center is completely digital. Infinity’s only point of touch is Vivocha’s live chat. Thanks to this particular channel, Infinity is able to guarantee live support to its customers, and to engage - and convert - the prospects visiting the website for the first time. In addition to a standard reactive chat button, Infinity has implemented proactive widgets both for the web and for the mobile, which allow real-time engagement and assistance in specific targeted situations.